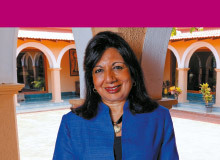 Time Magazine’s 100 Most Influential People in the World - FedUni graduate Dr Kiran Mazumdar-Shaw’s company Biocon is committed to reducing therapy costs of chronic diseases like autoimmune, diabetes and cancer. Alumni represent the very best of the University and our predecessor institutions. They embody the importance of regional and international education delivery and are direct contributors to our social, economic, regional and international capacity building. Our alumni are exemplars of how education can make a difference. We invite our alumni to invest their knowledge, achievements and life skills in FedUni and become active partners in our future. Raise awareness of alumni amongst students, staff and the community by promoting and recognising their achievements through the annual Alumni Awards and alumni social media sites. Build an alumni engagement team to enable the continuing involvement of alumni in the current and future life of the University and faculties. 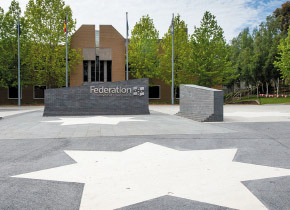 Establish systems to locate and reconnect with alumni from predecessor institutions of Federation University Australia. Provide opportunities for alumni to give 'something back' to the University through volunteering, mentoring, and supporting the University’s annual giving program. Provide opportunities for domestic and international alumni to network socially and professionally.